In conjunction with this exhibition, our artists' book, As inclination directs, was on display as part of the 2013 Geelong acquisitive print awards (at Geelong Gallery from the 31st of August to the 24th of November). Our cover artist for October is Gracia Haby who is currently showing at Geelong Gallery in a show titled All breathing in heaven. 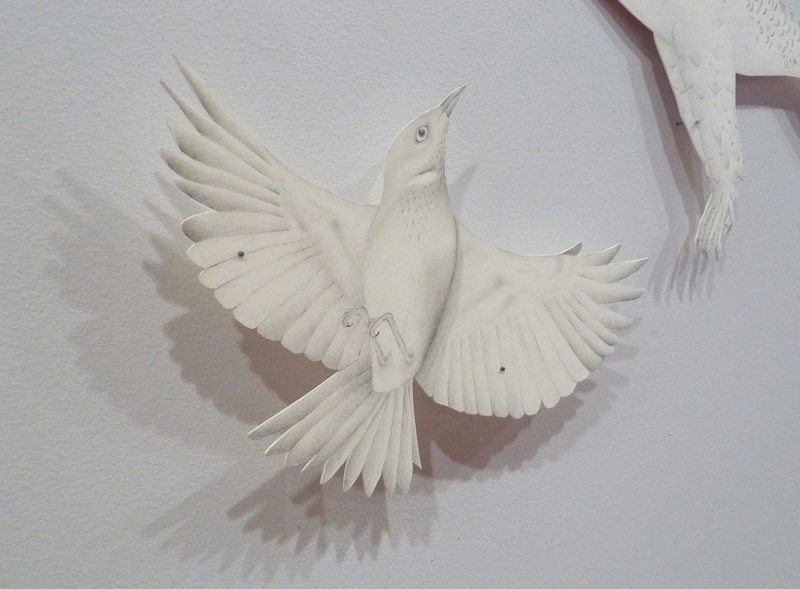 the exhibition also features, Louise Jennison and Stephen Wickham, where each artist reveals their shared interest in the intersection between the animal and the human worlds. The works present imaginary images that highlight the plight of endangered species, or pay homage to relationships with domesticated animals from a particularly regional point of view. Bringing together collage, drawing and photography, the exhibition reveals the artists' shared interest in the intersection between the animal and the human worlds. Combining humour with acute observations of both wild and domestic animals, the works present imaginary worlds, highlight the plight of endangered species, or pay homage to relationships with domestic animals. 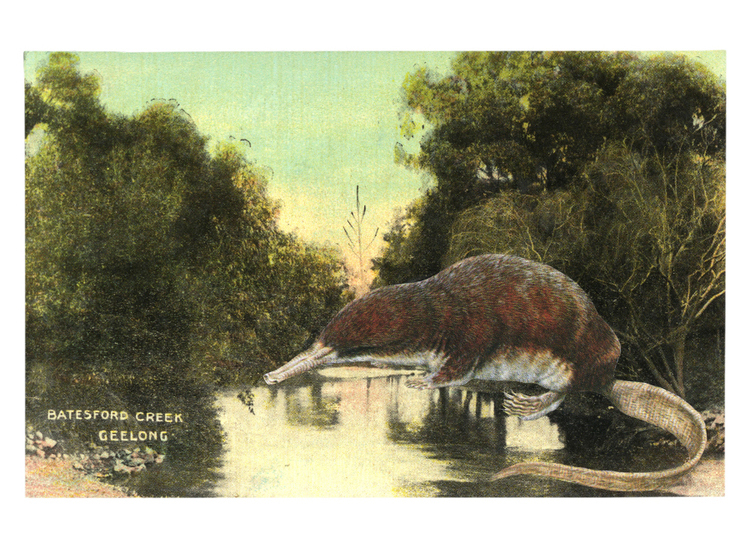 Gracia Haby's whimsical and otherworldly series — of over 450 postcard collages — depicts a menagerie of wild or endangered animals inhabiting well known and recognisable locations (including those of Geelong and its region). These playful narratives evoke a bygone era where animals of all shapes, sizes and origins were free to roam. Haby's series invites the view to ponder if the creatures are scuttling or seeking shelter, while the title of each scene serves as a clue (and sometimes a red Herring). 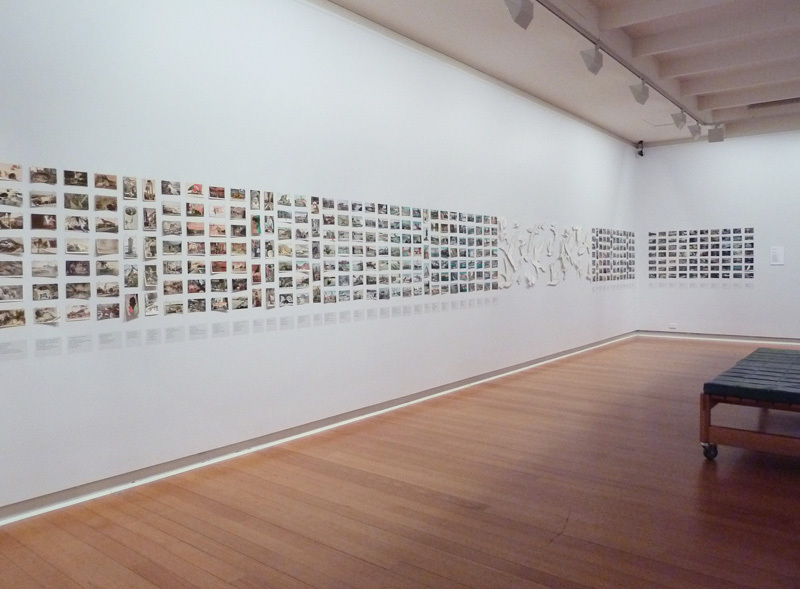 Within the formal grid of postcards, Louise Jennison's drawings of a flock of birds and a butterfly give the initial appearance of flight, but on closer inspection, each bird or insect is pinned to the wall like specimen collections of old. Amongst the array of birds, Jennison's installation draws attention to the plight of the Hooded Plover, a bird that lays its eggs and raises its young on the beaches of Ocean Grove, Barwon Heads, and Breamlea, which is under threat of extinction due to unleashed dogs and human trampling. Stephen Wickham's tableau of colour photographs, contemplates the poetics of loss, love and transience within the setting of the Barwon wetlands. Featuring over 60 photographs ranging from moody cloudscapes to the underwater depths of marine life, this selection represents a world shared by animals and humans. Although absent from these photographs, the titles of individual works allude to the artist's much-loved canine companion, Peppie, as well as the landscape and experiences they shared together: producing a poignant portrait of loss. Two of our favourite artists/collaborators have been so so very busy this past few months. Gracia Haby and Louise Jennison have achieved what would be impossible for us — have work ready for a new show and go to over 40 films at the recent Melbourne Film Festival. Do they ever sleep? Geelong Gallery plays host to their latest show All breathing in heaven which continues their exploration of both animal and human worlds and where they intersect. 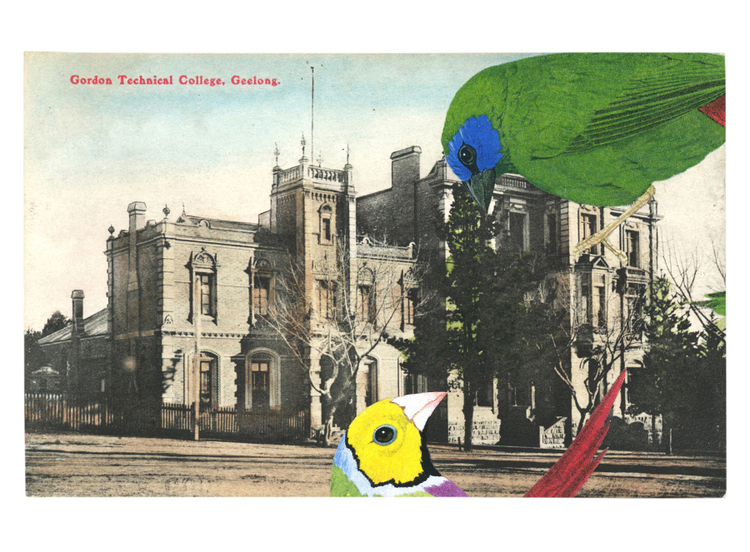 Through the time honoured traditions of collage and drawing these two magical makers have created a world of their own that is totally beguiling. The ladies of hml are big fans, having bought journals, zines, prints and collages in the past so we cant wait for the road trip. How amazing to see so much of their work on display. We often joke that in some parallel universe we would be as talented, intelligent and beautiful as these two and produce work as seductive. We will have content ourselves with being fans and collectors.